Remove the brake hose mounting bolt (A). 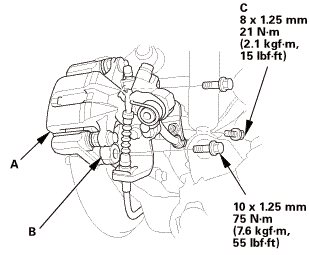 Remove the caliper assembly (B). To prevent damage to the caliper assembly or brake hose, use a short piece of wire to hang the caliper assembly from the undercarriage. Do not twist the brake hose and the parking brake cable excessively. 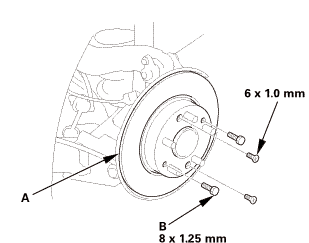 Remove the brake disc (A). 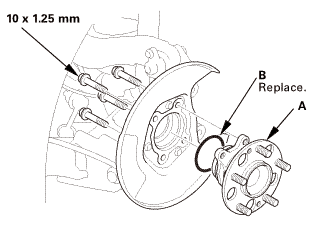 NOTE: If the brake disc is stuck to the hub bearing unit, thread two 8 x 1.25 mm bolts (B) into the brake disc to push it away from the hub bearing unit. Turn each bolt 90 degrees at a time to prevent the brake disc from binding. 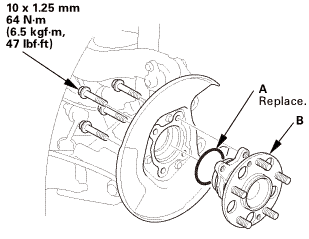 Remove the hub bearing unit (A). For some models: Remove the O-ring (B). For some models: Install the new O-ring (A). 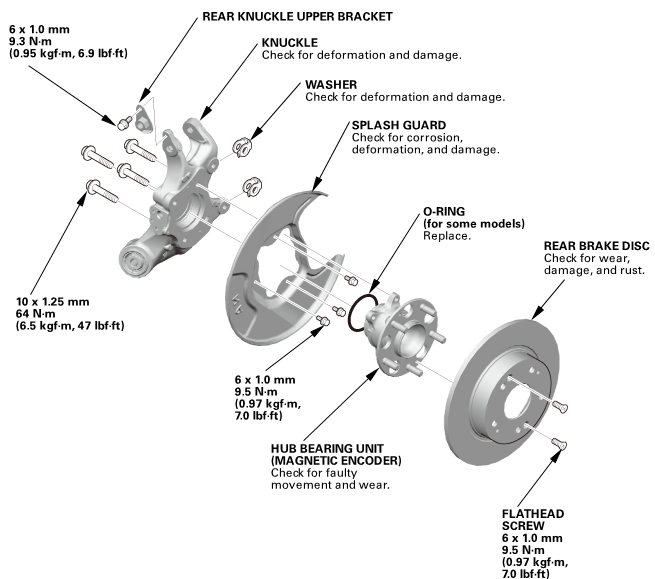 Install the hub bearing unit (B). Install the brake disc (A). 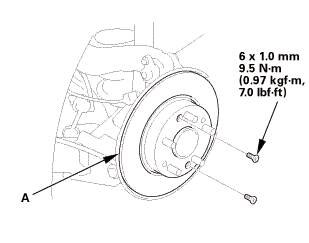 NOTE: Before installing the brake disc, clean the mating surfaces between the hub bearing unit and the inside of the brake disc. NOTE: Make sure the washers (B) are in position. 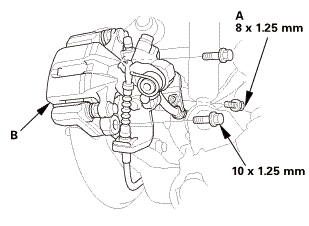 Install the brake hose mounting bolt (C).